Powsurfing Godfather Jeremy Jensen joins snowboard legend Scotty Arnold and ski & snowboard brothers Ian and Neil Provo for a week of powsurfing deep in the Monashee’s with Mustang Powder Guides. In this short film we focus on the influence of skateboarding. A nod and a high five to a phenomenon that continually boggles the minds and stretches the imaginations of minds both young and old. Smacking lips and cranking bottom turns in the Utah Backcountry with Grassroots founder Jeremy Jensen. Surfing is obviously a huge inspiration and influence on powsurfing and while ocean waves and mountain features are quite different, similar techniques are applied with beautiful results achieved. The nooks & crannies that are normally buried deep in the snowpack have become our current playgrounds. 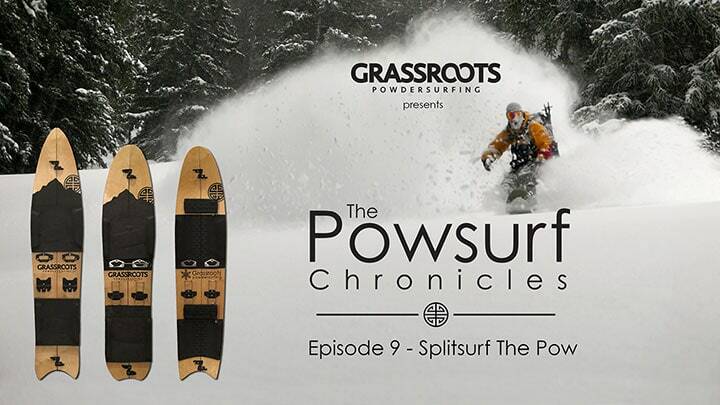 “Ankle Biters” or really small waves is what episode 14 of The Powsurf Chronicles is all about. https://www.powsurf.com/wp-content/uploads/2017/06/JunePowsurfThumbnailOptimized.jpg 1078 1905 jeremyjensen https://www.powsurf.com/wp-content/uploads/2018/09/DropLogo_Horizontal_340x156-300x138.png jeremyjensen2017-06-15 20:36:132017-06-15 20:36:13Powsurfing in JUNE!